Who doesn't want a fair and even-toned skin? Enriched with some of the best of skin lightening natural ingredients such as saffron, kiwi, mulberry and liquorice, this face pack will give you exactly what you were looking for. Get radiant, smooth and naturally fair skin with this face pack. 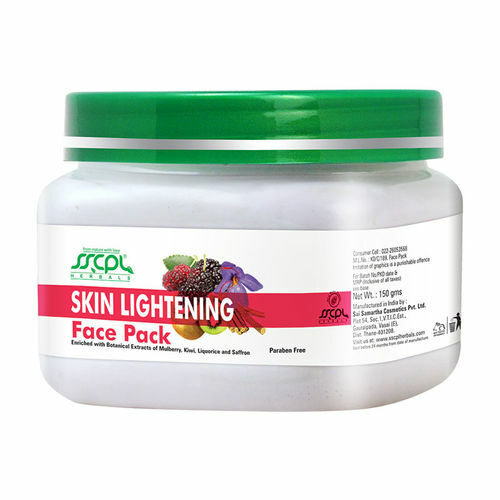 Apart from using it in treatment facial kits, this herbal skin lightening face pack can also be used to get a one-step lighter skin tone.